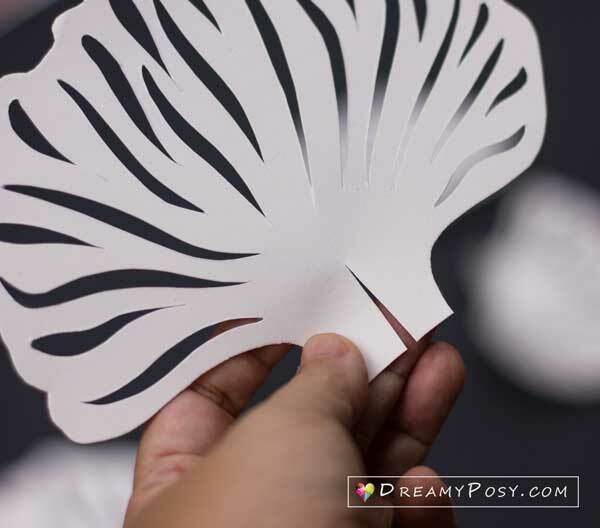 I got a request to make some paper flowers crafts to decor her room in the minimal style. 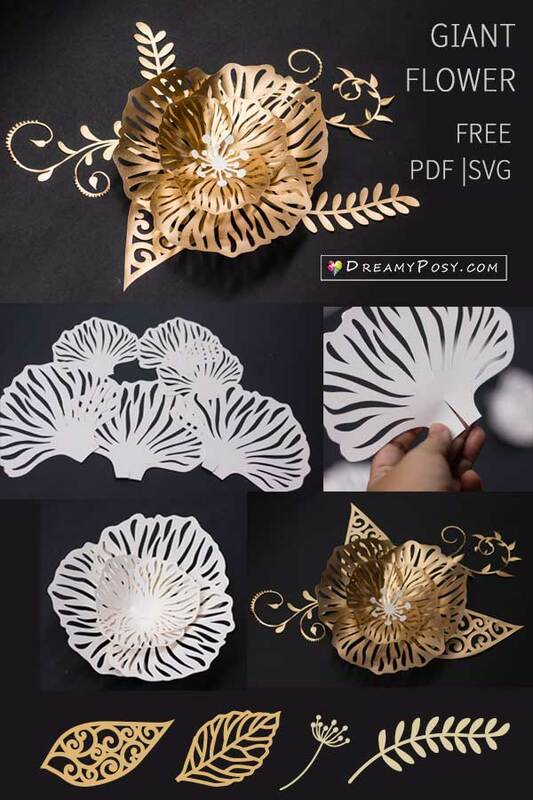 I immediately think of a simple and gold flower, and some filigree foliages. And here is the final result, and she loves this. She hangs it on the white wall. 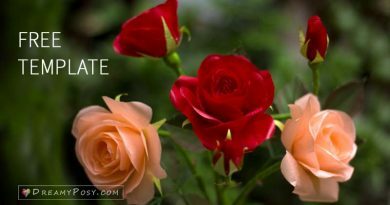 I hope that you will love it, too. 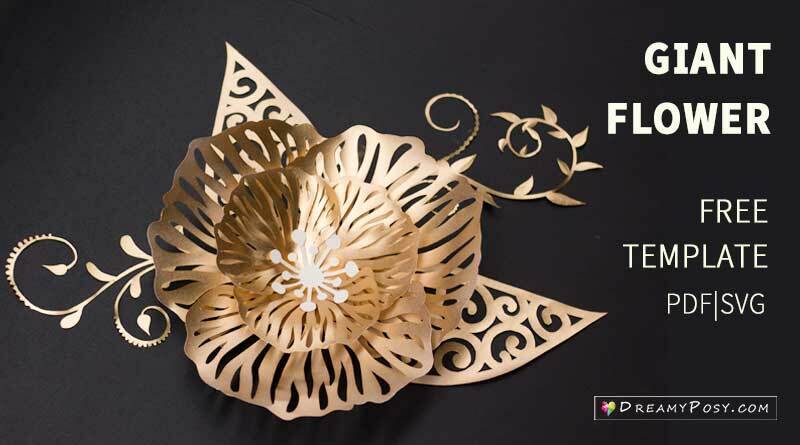 You might also wanna check out these 40+ paper flowers how to tutorials here. Click and enjoy. 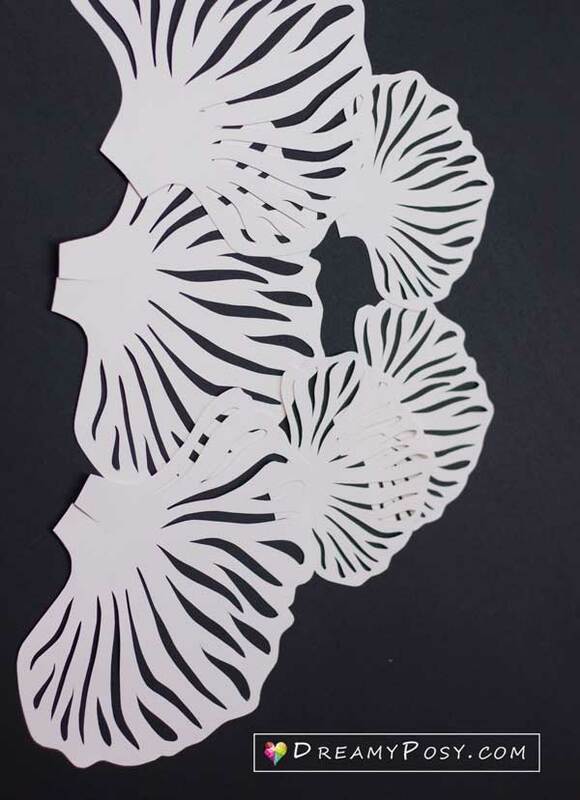 Step 1: Cut the flower petal templates. 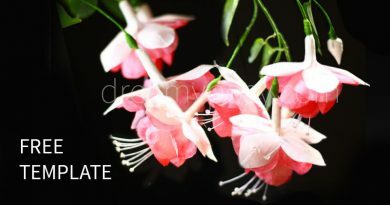 Each flower needs 3 large petals, 3 small petals, and 1 flower center. 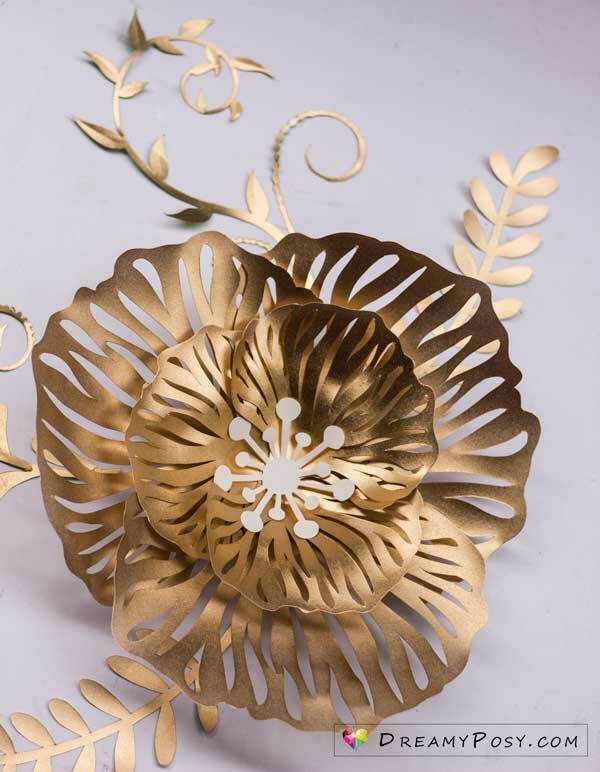 It’s better to use thick paper (> 220gsm), any color paper so that it would look like the metal flower after spraying. 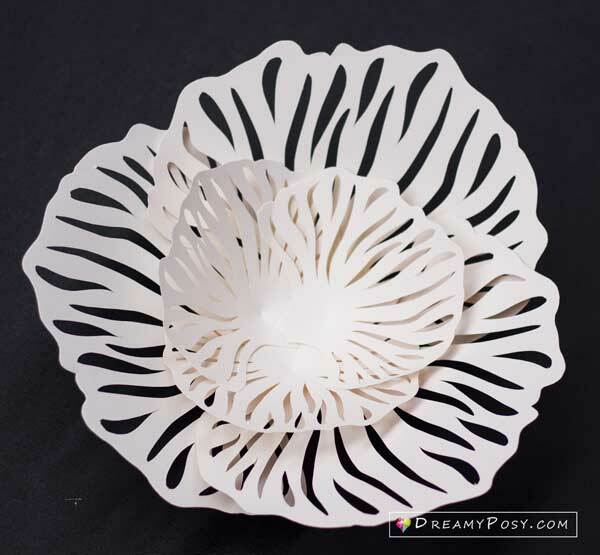 This short slide will help to form the petal in 3D shape. 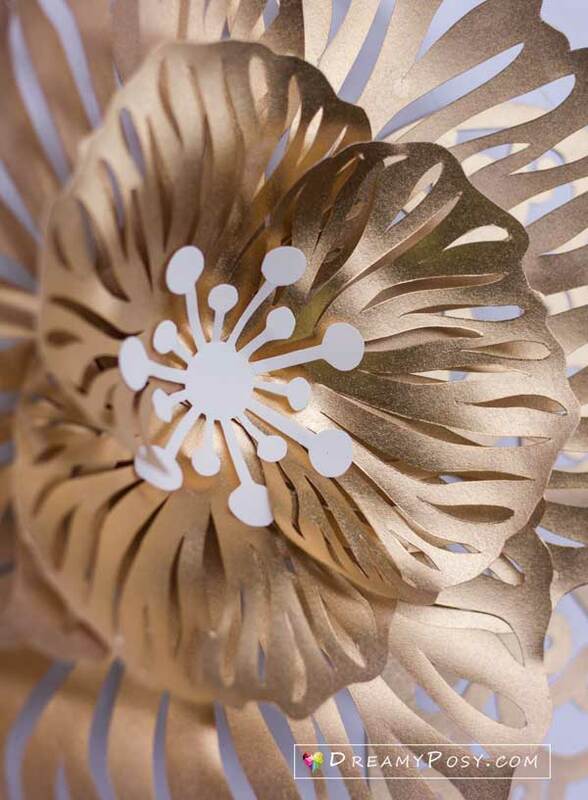 It’s much easier to gold spray each petal before glue and form the petals. 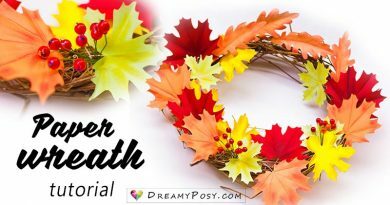 Step 4: Glue the flower center and the petal layers together. Glue gun or Tacky Glue is the best choice for this step. 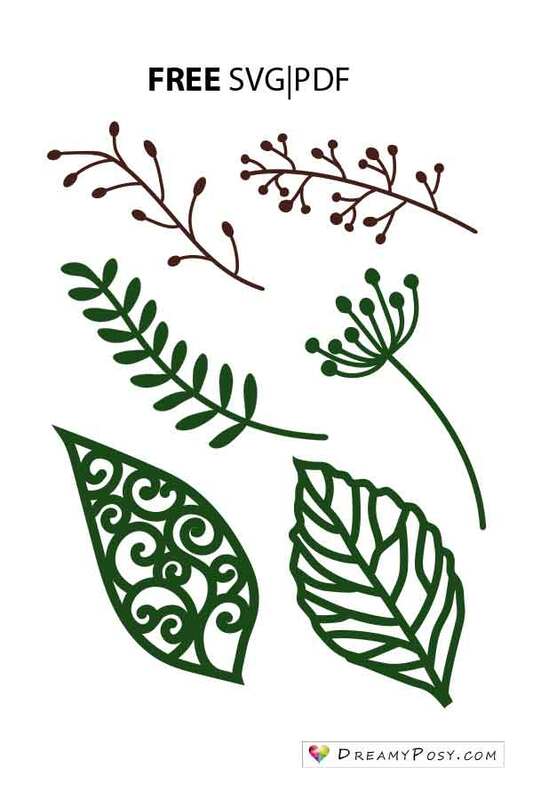 You might find other leaves templates here. 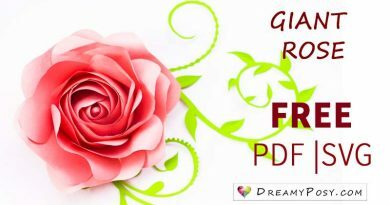 Flower petal templates (Free giant flower SVG template, PDF color file, PDF plain file). For personal use only. 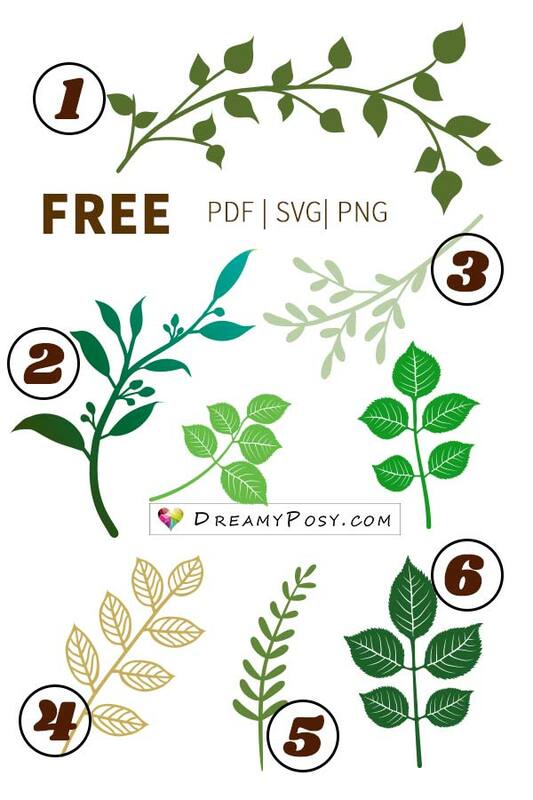 Foliage templates (Free leaves SVG templates, PDF color file, PDF plain file). For personal use only. Thank you very much for such a creative artwork. I’m glad you like it, Deb.